Laredo Medical Center is committed to outstanding patient care and excellence in medical education. Laredo Medical Center is proud to announce the opening of its Family Medicine Residency Program. This residency is accredited by the American Osteopathic Association and the Accreditation Council for Graduate Medical Education for 24 residents. The first class of 8 residents matriculated in July 2018. 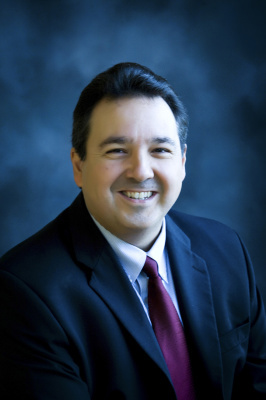 This program is the culmination of several years of collaboration with the Texas Institute for Graduate Medical Education and the University of the Incarnate Word School of Osteopathic Medicine. Laredo Medical Center's Family Practice residency program prepares physicians for the delivery of total healthcare for patients through the full cycle of life, from infants to our senior population. The program emphasizes increasing medical knowledge and skills in a broad array of specialties while practicing in ambulatory settings and improving interpersonal, practice management and diagnostic skills. Through the Osteopathic Family Practice Program, the Medical Staff of Laredo Medical Center is dedicated to providing an atmosphere of learning, collaboration, and excellence to all students and residents. The residents, who choose LMC as the healthcare facility that will enhance their education process and provide practical hands on experience, will find a diverse environment designed to provide the highest standards of professional ethics and integrity. Laredo Medical Center is a 320 bed hospital with state of the art facilities and an outstanding medical staff. Our family medicine residents will benefit from outpatient clinical facilities adjacent to the hospital. Although this is a new program, the program leadership has considerable expertise in medical education. The administration and faculty are committed to providing the best in medical education. Thank you for your interest in our program. We look forward to discussing how Laredo Medical Center is the best option to continue your medical education. As a new program still under development, details of the program are still subject to change. The family medicine training program is 36 months in duration and meets all the AOA basic requirements, including the first-year internship. The continuity-of-care training requirement will be filled in a continuity family practice clinic. Residents will build their own panel of patients. These patients will present to their resident for each subsequent visit, except in emergencies. Residents should care for hospitalized patients from their panel who are admitted to their hospital training site or sites. The first-year resident will spend half a day each week for the entire year in the continuity-of-care training site. During years two and three, each resident will spend up to three half-days per week at the continuity-of-care clinic. In 1894, the motherhouse of the Sisters of Mercy of South Texas was moved from Refugio Texas to Laredo, establishing Laredo’s first hospital which was initially a 12-bed facility. 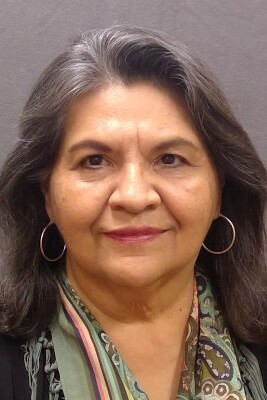 Laredo Medical Center, formerly known as Mercy Health Center, was a nonprofit institution established by the Sister of Mercy, a group of Catholic nuns. Mercy Health Center was sold to Community Health Systems (CHS) in 2003. CHS is based in Brentwood, Tennessee and is the leading operator of general acute care hospitals in non-urban markets throughout the United States. Today, Laredo Medical Center is a 326 bed community based acute care facility with over 49 specialties and subspecialties. They are the first area hospital to have an accredited Chest Pain Center. Laredo Medical Center's mission is their commitment to meet the health and medical needs of their community through safe, high-quality and personalized care. They continually advocate innovation and quality improvement to enhance service excellence while maintaining prudent stewardship of the human, physical and financial resources entrusted to them. 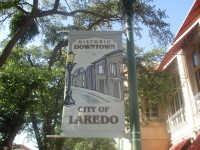 Laredo is the county seat of Webb County Texas and is located on the North Bank of the Rio Grande River and across from Nuevo Laredo, Tamaulipas, Mexico. Laredo has approximately 240,000 residents with a high percentage of Latino and Hispanic residents. Laredo's economy is largely based on international trade with Mexico. 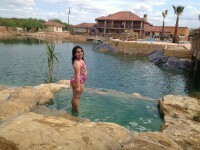 Laredo is about 150 miles from San Antonio, Corpus Christi, and Brownsville in the Rio Grande Valley. The climate is semiarid with at least 320 sunny days each year. It is hot in the summer and mild in the winter. Laredo is a city steeped in history. 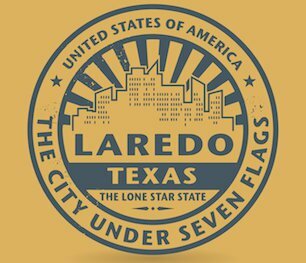 Founded in 1755, Laredo grew from a small village to the capital of the short-lived Republic of the Rio Grande to the largest inland port on the United States-Mexico Border. Laredo has four international bridges and one railway bridge. We encourage your interest in our programs and are happy to answer any questions you may have in person or on the phone. We participate in the Electronic Residency Application Service (ERAS) of the American Association of Medical Colleges. All applications will be accepted electronically through this service. You should submit your application and the Dean's Office will submit supporting documents using software at your school. For the 2019 Match, we will be participating in both the NMS and the NMRP. Our osteopathic description is OMNEE/Laredo Medical Center (AOA number #37214) and Match Code #80646. Our ACGME Accreditation ID# is 1204800723. When applying using the ERAS, please include your board scores. We would be happy to talk with you about your interest in our program. Unfortunately, because we are concentrating on development of the residency, we will not be offering audition rotations in 2018-2019. If you have any questions or inquiries concerning this program please contact our residency coordinator (below) or utilize the form on the right.